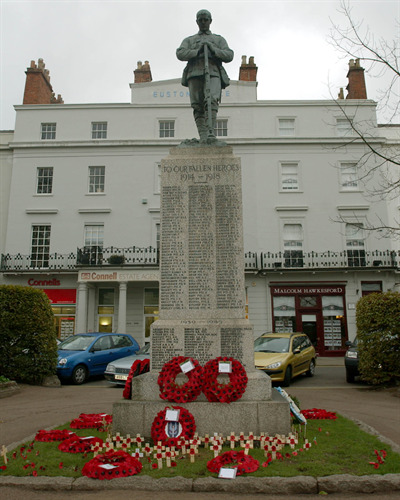 The Town Council organises the Annual Service of Remembrance in Leamington Spa each year. As customary throughout the United Kingdom, the fallen of two World Wars, and numerous other conflcits, are honoured with the laying of wreaths and observance of two Minutes' Silence. This year the Service will take place at the War Memorial at Euston Place, commencing at 10.50 a.m. on Sunday 11th November. The Service is of approximately 3/4 hour duration. It is conducted outdoors and Members of the public are welcome to attend. Each year the Service is preceded by a march of Units from Regent Street, along the Parade with formation at Euston Gardens, adjacent the War Memorial. Organisations taking part include the Royal British Legion, Royal Naval Association, Royal Air Force Association, Royal Warwickshire Regimental Association, Royal Leamington Spa Home Guard Club, the Army and Sea Cadets, Cubbington Silver Band and the Choir of All Saints Church. Any organisation wishing to participate in the Parade of units or the Service of Remembrance is welcome to contact us. 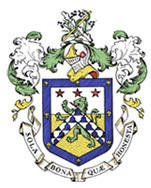 Copies of the Order of Service can be obtained free of charge from the Town Hall week commencing 5th November, or on the morning of the Service. 2018 also marks the centenary of the end of hostilities in World War 1. As part of the national celebration of this anniversary, a beacon will be lit at 7.00 pm on the evening of 11th November at Newbold Comyn, Leamington Spa. This will be followed by a Firework Display. Entry is free. Further details of this event will be posted in due course.